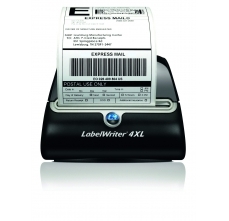 Printer labels is what you are looking for now? 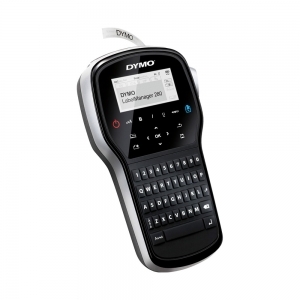 At Sancogrup you can now acquire original Dymo labeling machines, embossed appliances and covers. 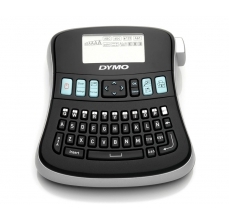 Manual or electronic, the original Dymo labeling machines are easy to use, durable and have easy-to-use navigation keys for quick access to special functions. Choose the quality of Sancogrup products and the original Dymo labeling machines that fit you or your business. Whether you've searched for thermal barcode printers or even barcode labels, self-adhesive labels, or industrial printers to help you print sticker labels or even textile labels you've gotten where you needed. You now have a wide range of mobile printers to choose from. You will not find the solutions provided by a color printer, but you can certainly find portable printers or barcode printers. From the outset, you must know that you need to choose the printing principle. You have a choice between thermal or direct thermal transfer. Generally, sticker labels are much better with thermal transfer. 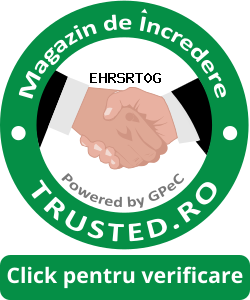 If you have strayed that you need thermal printers, labels will be directly thermal printing. These thermal labels are available when inkjet printers do not like it. Of course you find a classic desktop printer and if you are looking for even a prc marker. By taste and possibilities. We recommend custom mobile terminals, especially as now available in 2-color thermal label printer with WiFi connection. Yes, a portable thermal printer that no bar code will stand in front of. The new label printer recommends it to be small, to be a mobile printer, a printer friendly label printer, and we are convinced that only a Dymo label printer can meet these requirements.